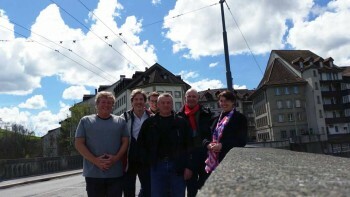 MetroCount’s CEO Mike Kenny and Technical Sales Representative Clément Dabadie recently travelled to Fribourg, in Switzerland, to assist local authorities in their use of the MetroCount systems to accomplish their traffic monitoring objectives. 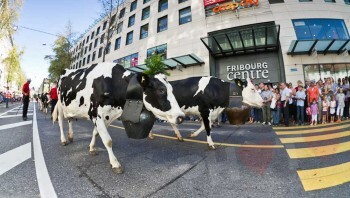 With 15 permanent installations (Inductive Loop Classifiers), and a stock of Portable Traffic Counters the Canton of Fribourg takes a proactive approach to data collection. With the beautiful mountains, historic architecture, and the fresh Swiss air, Mike and Clement were more than happy to make the trip. In recent years, the Canton of Fribourg has become invested in analysing traffic growth in order to anticipate future volume, improve infrastructure design, and reduce noise pollution. A study began in the spring of 2014, gathering data from 300 temporary sites over a 5 year period to establish traffic patterns across a 640km road network. With rigorous data control and validation standards imposed by the SMo (Mobility Service), collecting accurate and accountable data is mandatory to achieve the outcomes of this project. Thus, strategically placed RoadPod® VL5810 systems were used to provide further verification and seasonally adjust the values issued by the temporary sites. Switzerland’s engagement with traffic monitoring has lead to the inclusion of data gathering provisions in the Rules for Implementing the Law on Roads (RELR). Article 7 of the RELR mentions the “critical load”, referring to the maximum road traffic load predicted in a dynamic planning of 20 years. This value is calculated based on the latest Vehicle Average Daily Traffic values, measured outside cities, with the number of heavy vehicles doubled to account for their negative impact on roads, over time. Switzerland has been trying for over a decade to reduce heavy vehicle traffic, encouraging distributors to opt for rail freight transport. While progress has been made, with a decrease in volume of 10.3% between 2012-2014, the goal of 650 000 journeys/year is still a distant goal. Therefore, to further discourage heavy vehicles traversing their roads, the federal council decided to increase their travelling fees* again, in 2017. 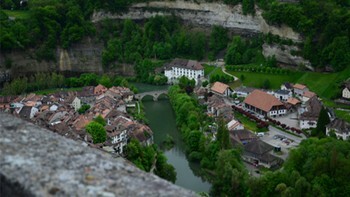 In October 2014, the Poya Bridge was inaugurated in Fribourg. Designed to improve traffic conditions in the area, the efficiency of this infrastructure has been assessed using MetroCount traffic data. 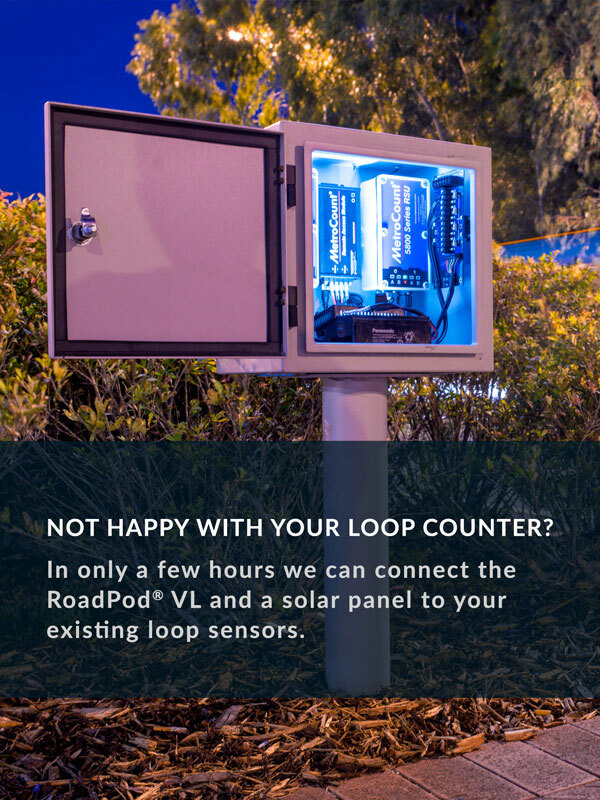 To analyse its impact, traffic counters have been installed on the main arterial roads, while a permanent RoadPod® inductive loop system was placed on the bridge itself. Giving priority to public transport and cycling. * These documents are only available in their original language, French.